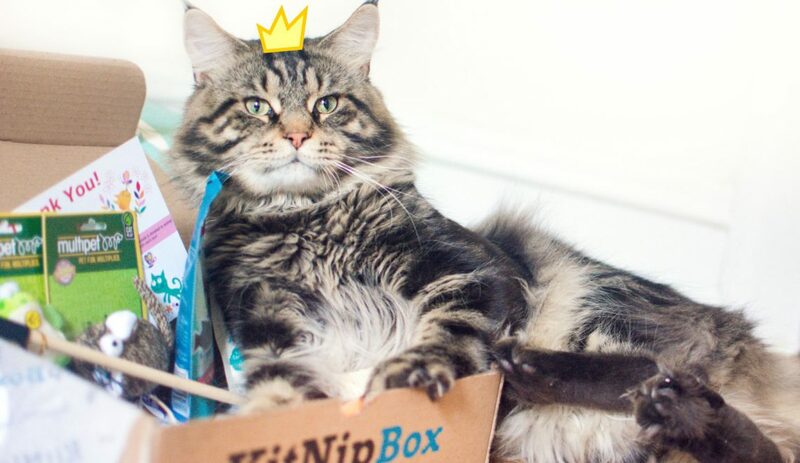 KitNipBox Wins The Cube Award for Best Pet Subscription Box... AGAIN! KitNipBox Wins The Cube Award for Best Pet Subscription Box… AGAIN! Thank Mew and Thank Mew! KitNipBox wins the Cube Award for Best Pet Subscription Box… Again! Holy meowly! KitNipBox is honored to have won the title of “Best Pet Subscription Box” at this year’s Subscription Trade Association (SUBTA) CUBE Awards. This marks KitNipBox’s second time owning the pet category, having won it last year, as well. Every year, the CUBE Award ceremony is held at SUBTA’s Subscription Summit, which took place in Denver, Colorado this year. The category of “Best Pet Subscription Box” was recognized among eleven other categories. Other notable winners included Loot Crate, FabFitFun, Watch Gang, and KidBox. Nominees were judged by a panel of industry leaders, analysts, and consultants for their innovation, executional excellence, and customer experience. We are so grateful, proud, and thrilled to have been awarded this honor again! While we cherish the honor (! ), the truth is, KitNipBox wasn’t created to win cool awards. Co-founders, Jordan Salvit and Deena Bronz, launched KitNipBox with the simple goal of bringing joy to cats and their humans every month. 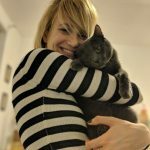 Just as well, the team at KitNipBox is composed of cat lovers who are passionate about cat health and well-being. Whether it’s sourcing unique toys, or talking to customers about, well, cats, the work put into KitNipBox is always completed with cats’ happiness in mind! After all, there’s nothing more fulfilling than watching kitties bunny kick, wrestle, and leap for their latest KitNipBox goodies! 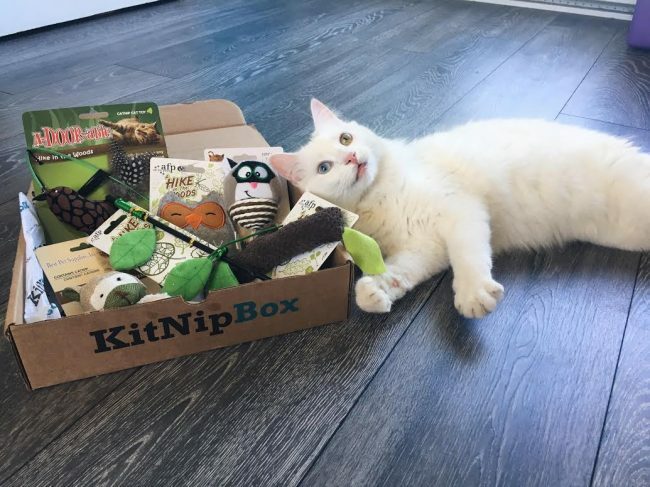 @maxthewhitecat, lounging with his latest KitNipBox! We purromise to keep getting better and better. 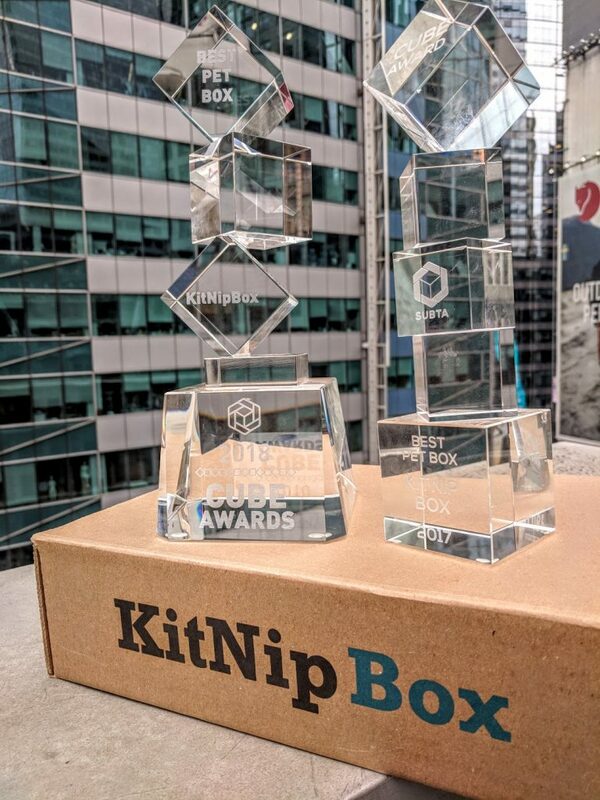 We’re proud to have won the Cube Award two years in a row, and to be the highest rated cat subscription box, but KitNipBox’s innovation doesn’t stop here. As long as cats won’t give up on the red dot, KitNipBox will never give up on making the best pet subscription box! Keep your eyes peels for more fun themes, one-of-a-kind toys, and mouth-watering treats in upcoming boxes! Your kitties will thank you for subscribing.